My abiding memory of my first trip to Cornwall, aged four, is of walking back from the beach in an odd assortment of clothes and no knickers. I’d been swept out to sea; well, that was my impression of the experience, but really, I’d been knocked off my feet by a wave. Everyone I was with donated something for me to put on, but underwear I had to do without. My seven-year-old son, who has autism, had a similar wardrobe crisis recently following a too-close encounter with the sea. 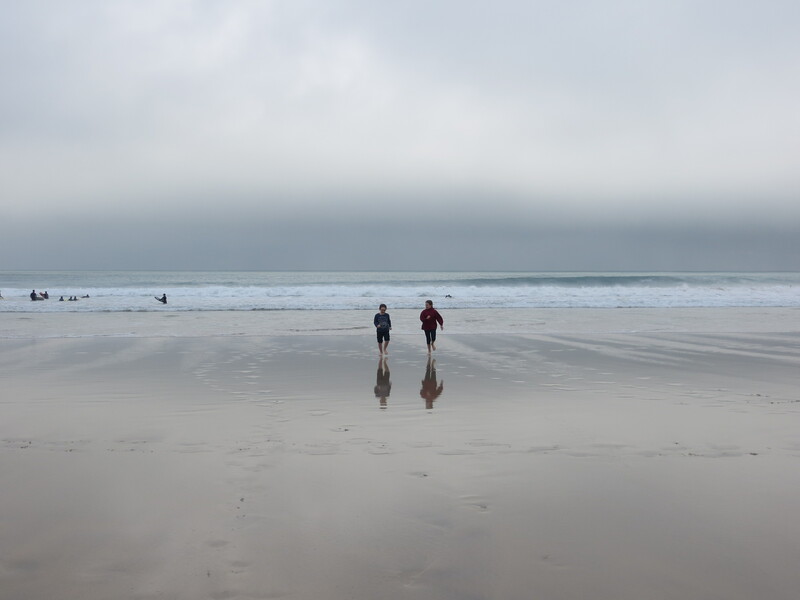 This was at St Ives, and it was beautiful – the sea and the sky were an extraordinary translucent blue (half-an-hour later, the mist rolled in and it all vanished). We were just about to leave when he fell over on the wet sand and soaked his top and trousers. A rescue party scaled the cliffs in search of a new outfit from a charity shop, duly returning with a surfer-dude shorts and hoodie look; in the meantime, he circled the sand in his anorak and a pair of slightly damp, and therefore transparent, white pants. I’m told that the Anglo-Saxons regarded today, the 7th November, as the beginning of winter. 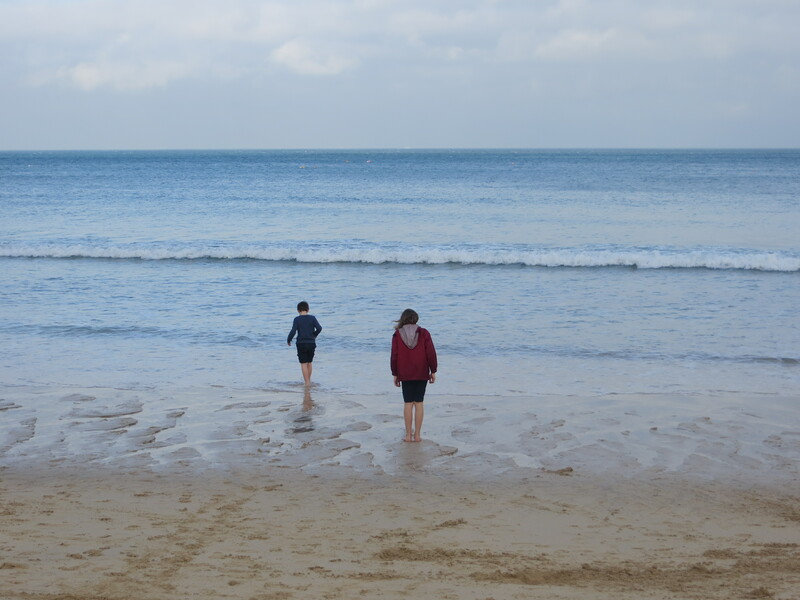 It’s been so windy and foggy and murky in Oxfordshire over the last few days, it’s hard to believe that not so long ago the children really were paddling in the sea. 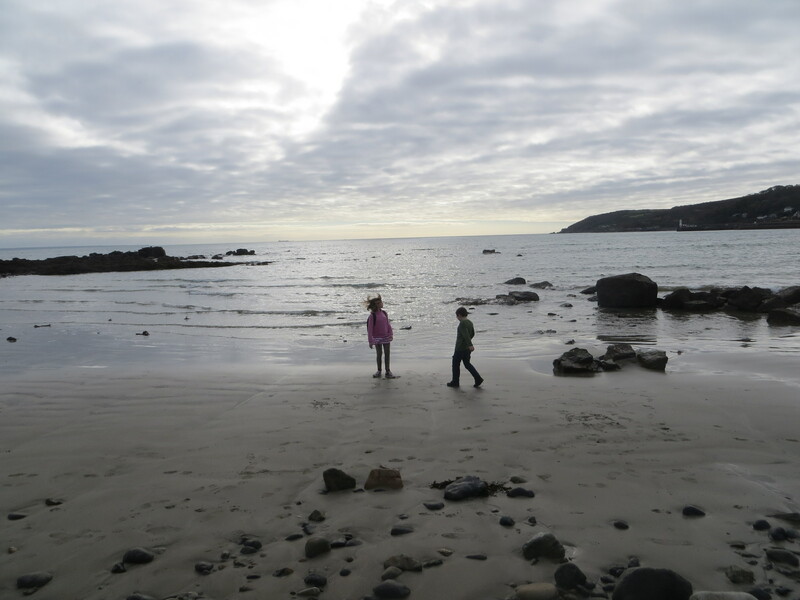 Our half-term trip to Cornwall was the very first family holiday the four of us have ever had. 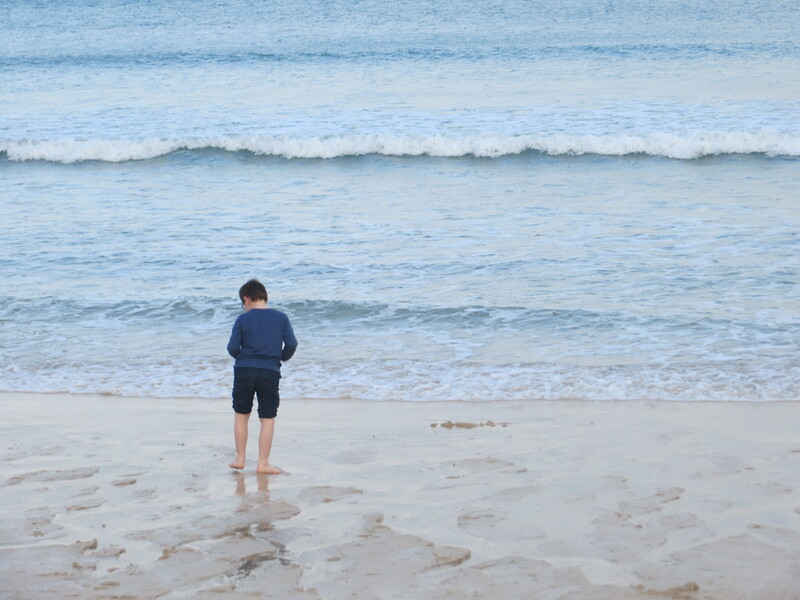 Given my son’s autism, a holiday has always seemed more likely to be an ordeal than a treat. So it was the most amazing feeling to look out of the train window and see an alien landscape – rugged, with unfamiliar trees and a haze of mist being sucked up towards the sun. The mist cleared as we approached Penzance and we saw the sea. The light was unmistakably different to home – more vivid: it was as if we’d stepped out of a Constable or a Reynolds and into a Cezanne. We stayed in the family room at the youth hostel in Penzance – run by lovely people (the breakfast is very good too). But our stay was really made special by friends who live nearby and who took care of us, showing us round, feeding us and providing our boy with the perfect sofa for his afternoon nap. And now I’ve finally been to St Ives! 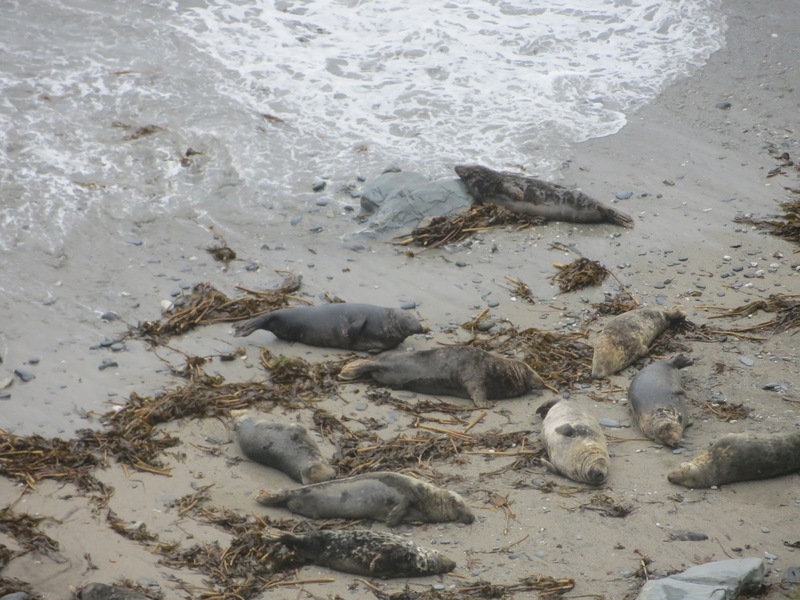 Years ago, when I was a rookie reporter, I went to a Sunday afternoon cake and gin party where a Canadian artist told us she’d gone on her own to St Ives by train – perhaps as a cure for a broken heart, or maybe just to dispel the blues. I’ve wanted to go there myself ever since. I wasn’t sure what our son would make of Tate St Ives, but actually he really loved the kids’ activities – lots of torches and lenses to play with. 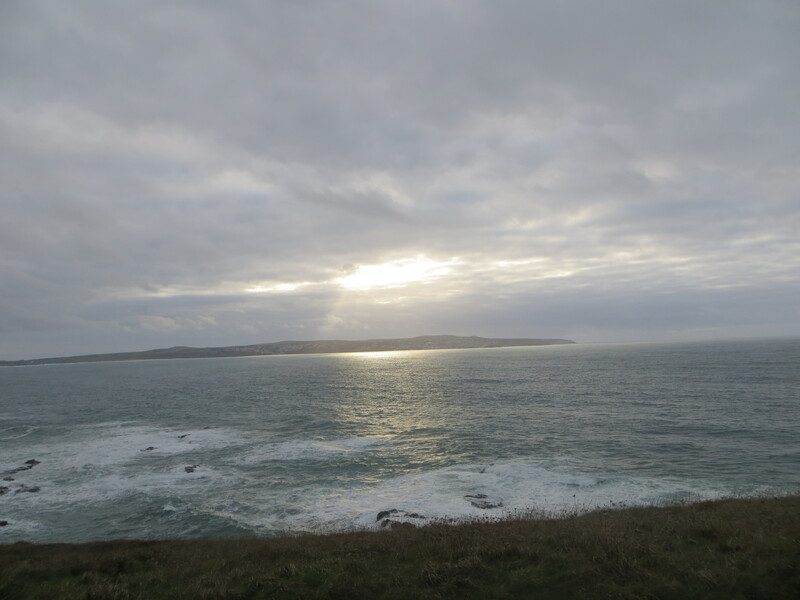 Last time I went to Cornwall was for the July 1999 solar eclipse (ultimately an eerie experience – I won’t forget the strange cold rush of wind along the grass when the sun went dark). That was the trip that inspired the visits to Cornwall in my first novel, Stop the Clock. I still have, somewhere, the Perranporth Yard of Ale award I won on a previous Cornish holiday, in 1991. Still on my Cornwall hitlist: Mousehole, the Eden Project, Lands’ End, the North Cornwall Book Festival (I hoped to make it this time round but it was too much to fit in), and much more… I’m also sorry I didn’t make it to the Edge of the World bookshop in Penzance and St Ives Bookseller – maybe next time! 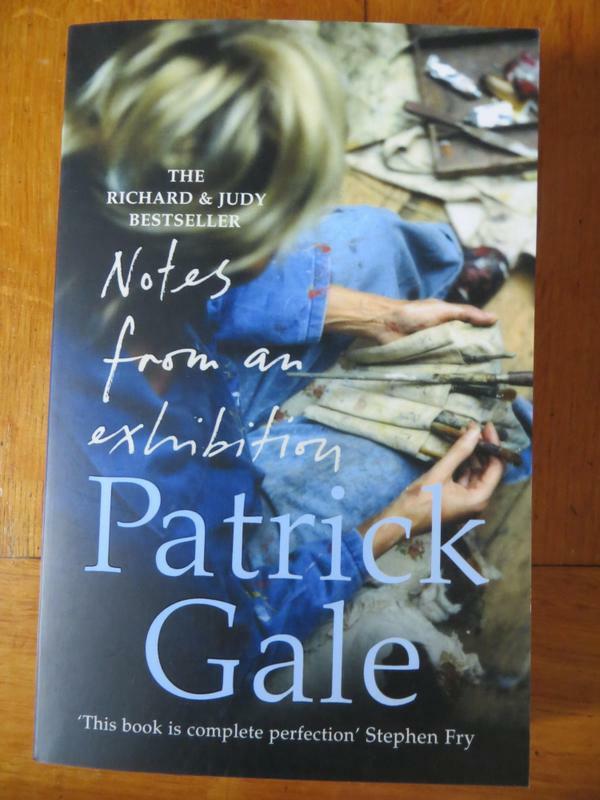 Notes from an Exhibition by Patrick Gale, which is set mainly in Penzance. I read this recently and came away with the feeling that I’d been somewhere full of light. The Camomile Lawn by Mary Wesley. One of the many things I love about this book is that Calypso marries for money and then falls in love, and firmly refuses to come to a bad end. I’m also a big fan of Patrick Marnham’s biography of Mary Wesley, Wild Mary – recommended reading for writers, especially women writers, along with Hermione Lee’s life of Penelope Fitzgerald, which I took with me on my most recent trip to Cornwall and will be very sorry to finish. 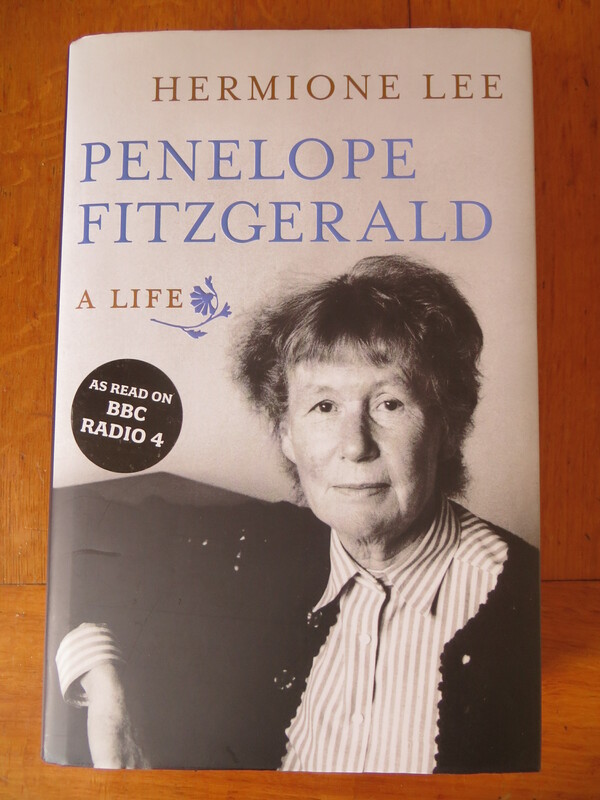 Though I am also very happy to have got to the bit of the story where, late in life, she wins through to find a wide and admiring readership. Out of various Daphne du Maurier possibilities – Frenchman’s Creek. The first few Poldark novels. 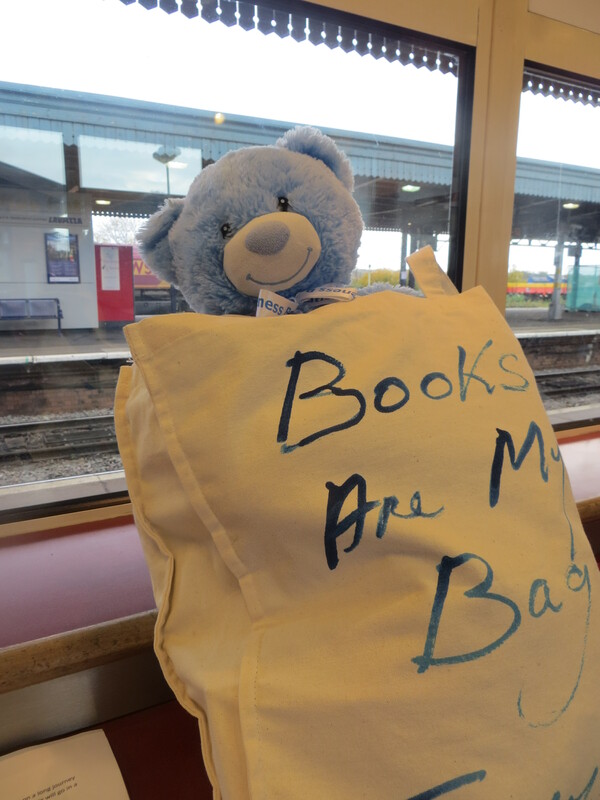 They’re adapting them for telly again, so the books are set to have a second lease of life. I did feel for Demelza, battling it out against Elizabeth, the perfect, unobtainable first love. Susan Howatch’s Penmarric. I read this as a teenager and it made a big impression, prompting me to attempt a family saga of my own. My opening line, written from the point of view of the hapless Casanova heir of the country estate, was: ‘I made the same mistake with Clara that I have made with every other woman in my life: first I fell in love with her, and then I fell in love with somebody else.’ I never finished it. If anyone has any other recommendations for Cornwall reading or places to go, let me know!